Mount Everest the name gives you a complete picture in mind when you hear, the tallest mountain of the world. Climbers from all over the world attempt to climb Everest to form records. Some of the hikers make it to the top while some of the hikers lose their precious lives in their journey to the top. Well the death of hikers is not at all related to their ability of hiking as the conditions of snow sliding is totally unexpected if you are lucky enough you can reach the top without losing your life. So this article is to appreciate the efforts of all the hikers who lost their lives climbing Mount Everest. 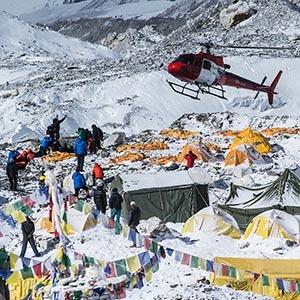 See how these amazing climbers lost their lives and know the details of most shocking death statics on Mount Everest. The name of rainbow valley seems so beautiful but the reality of the spot is totally the opposite. The rainbow valley is very famous due to its spot and different colors but when you first hear the name something really beautiful and colorful comes to your mind. Rainbow Valley is situated at almost 26,000 foot if you choose the Northeast ridge route towards Mount Everest. The colors of the spot are due to the dead climbers who lost their lives while climbing Mount Everest, the rainbow is made by bright color jackets and climbing suits of the hikers. It is said that in all these bodies of climbers who lost their lives there is also George Mallory. This spot is also known as the largest graveyards made of dead bodies at the spot.